Does not include shoes. 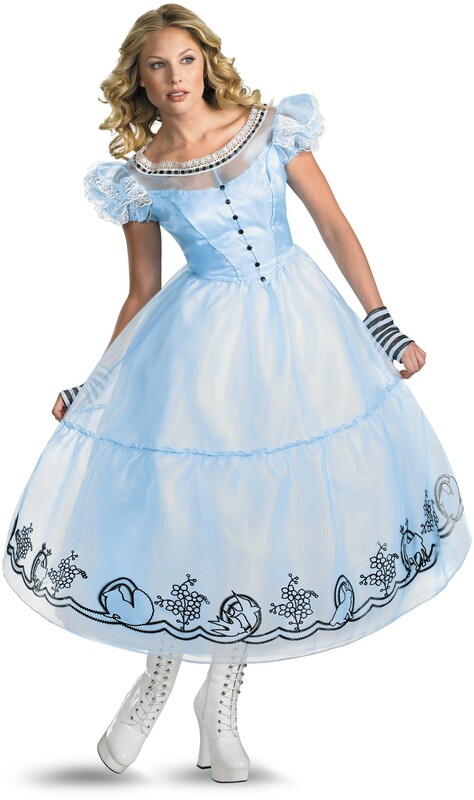 This is an officially licensed Disney product from Tim Burton's Alice in Wonderland. The measurements of the waist are small so against my better judgments I went with the bigger size to ensure that the tightest part would fit. The waist is ELASTICATED so now I have a costume one size too big. I feel it could have been mentioned in the sizing info as the dress looks very tight and stiff - it is actually stretchy at the back and I would have easily fitted in the smaller size.